When a woman in the United States becomes pregnant or tries to become pregnant, she enters a world of information, technology, and expertise. Suddenly her body becomes public in a new way: medicine, law, and popular culture all offer her sometimes contradictory ""expert"" advice. This text explores the advice offered to pregnant and infertile women by examining assumptions about femininity, class, and the reproductive body that structure the language of expertise. Even advice books written from a specifically countercultural or feminist point of view often attempt to police the way women think about their bodies. 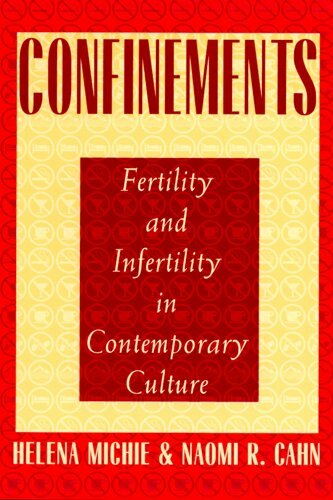 The authors here argue that our perceptions about both pregnancy and infertility are limited by our culture's battles over the meaning of choice and control, arguments over what is natural or unnatural, and the troubled relationship between reproduction and the domestic sphere. Helena Michie, a professor of English and Women's Studies at Rice University, is the author of The Flesh Made Word: Female Figures, Women's Bodies and Sororophobia: Differences Among Women in Literature and Culture. Naomi Cahn, an associate professor of law at George Washington University Law School, has written for legal journals, including The Cornell Law Review and Texas Journal of Women and the Law.